This one owner wooded 10 acre home is only available because of downsizing.Potential mother-in law apt downstairs! Some of the great features; granite counters, wood floors, main floor master ensuite, heated garage, mother-in-law style family room, Generac-auto -transfer-generator, detached 3 car 32x30 garage, and fenced dog area w/ doghouse in garage. 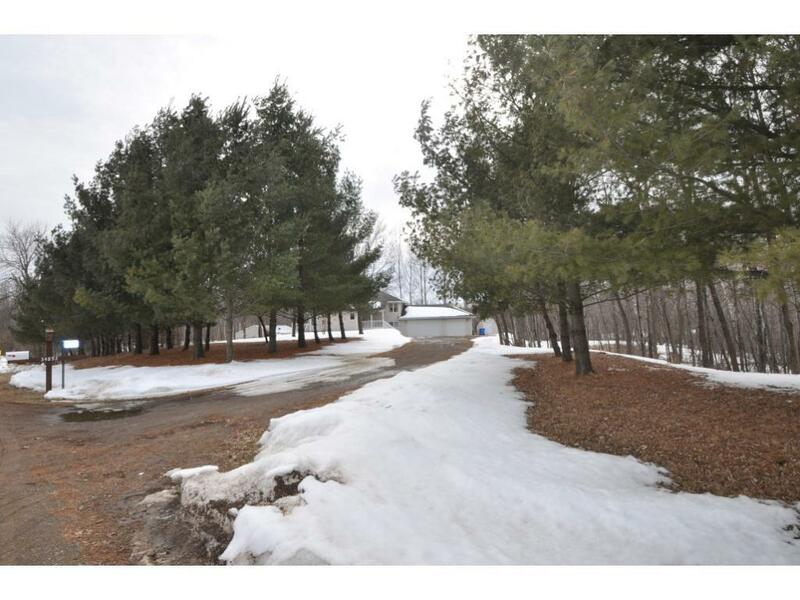 Acreage lot has a pond w/ many trees surrounding home. Home is adjacent to Springvale park that has tarred walking trails and lake area.